Lenoir- Mrs. Dorothy Spicer Hoppach, age 84, passed away on Monday, January 21, 2019 at Caldwell Hospice & Palliative Care in Hudson. 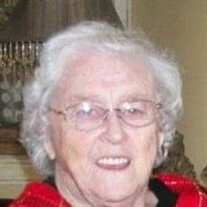 The family of Dorothy Hoppach created this Life Tributes page to make it easy to share your memories. Send flowers to the Hoppach's family.